Head over to get one of these Under Armour Boys' UA Tech Logo L/S T-Shirts for ONLY $13 Shipped (Retail $25) with promo code TECH13 at checkout. 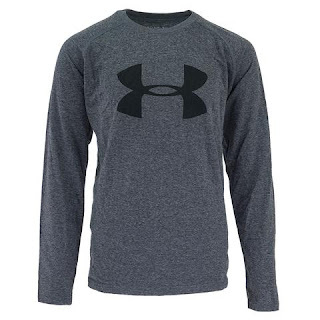 The Under Armour Boys' UA Tech Logo L/S T-Shirt is loose fitting and features heatgear technology keeping you cool and comfortable when it's hot. A perfect option for any event or just to wear.